“Oh woe is me!” She lamented as we stacked the folding card tables into the back of her suv. I just laughed. The stabbing look she gave me belied the joke behind her cold gray eyes. We had been loading up; card tables, crock pots, serving utensils, platters, bowls, and table cloths. “Sweetie, if they were concerned they wouldn’t be getting to your house two hours before you get home from work. It’ll be just wonderful. You have everything planned. Jan will help, he usually does. You worry too much.” Trying to calm her down once she is wound up is like trying to talk a cat out of a tree! My lovely daughter waves goodbye as she backs from my driveway. 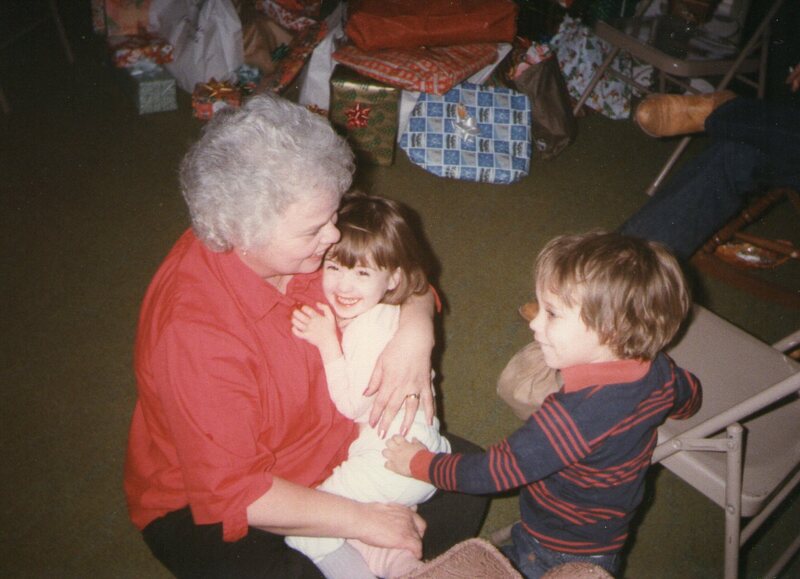 It seems only yesterday she was the wide eyed little one gawking at the twinkling lights. (my favorite too) Then on to those lovely, sullen, pre-teenage times. The year she cast away her Barbie dolls and declared “there is NO Santa”. Chris must have stormed angrily around the house for a couple of hours. Glaring at me. Accusing me of lying to her. Calmly, with cookies in tow, I asked her to sit for a moment and think. She refused the glass of milk I offered, after all she was nearly an adult! I drank it happily. “I am so glad you don’t believe in Santa Claus any more. I don’t have to buy you any presents. This sure will make my life easier.” The look on her face nearly made me burst out laughing. She began to back pedal, stuttering and stammering. Just then my husband, Bob, walked into the room. “I Believe!” he said emphatically. Chris’ head swiveled between Bob and I. Finally she grinned. “I Believe Too!” she shouted. We have shared that story with several nieces and nephews since. Just because you know “the truth” doesn't mean you don’t “believe”. There is a spirit that goes with this season. The spirit of Christmas season is about compassion, forgiveness, kindness, and love. Pssst – pass it on…..I BELIEVE!! I believe too, Leigh. Loved your post - sorry I got here so late. I hope you and your family had a lovely Christmas and I wish you many blessings in the New Year. Lovely Leigh, my son used to ask me if Santa was real and my answer was the same - he is if you believe. Dropped by from the Christmas blog hop. You know I Believe! I love this story. And you.